A single lobby card for the 1943 film The Ape Man sold for $175. 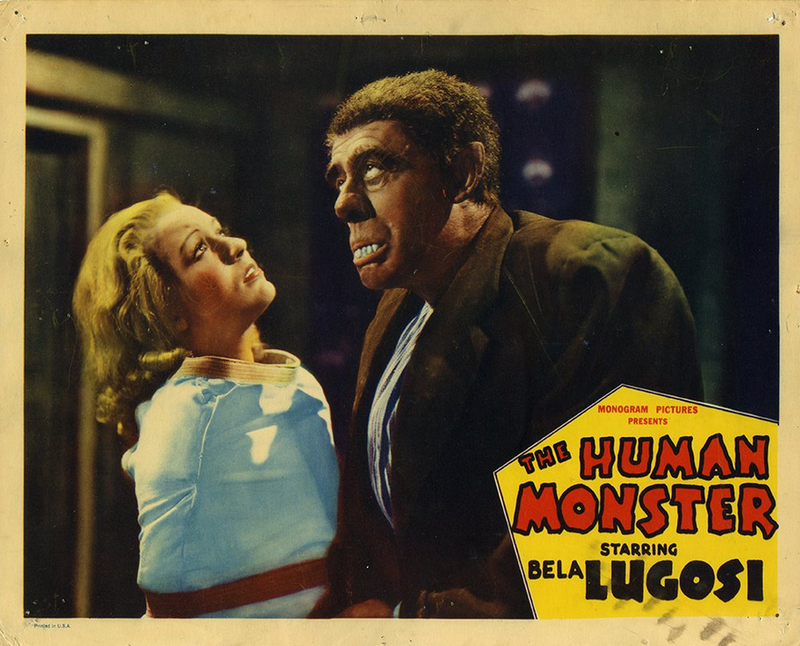 A single lobby card for The Human Monster, the American release titles for Lugosi’s 1939 British film Dark Eyes of London, sold for $150. 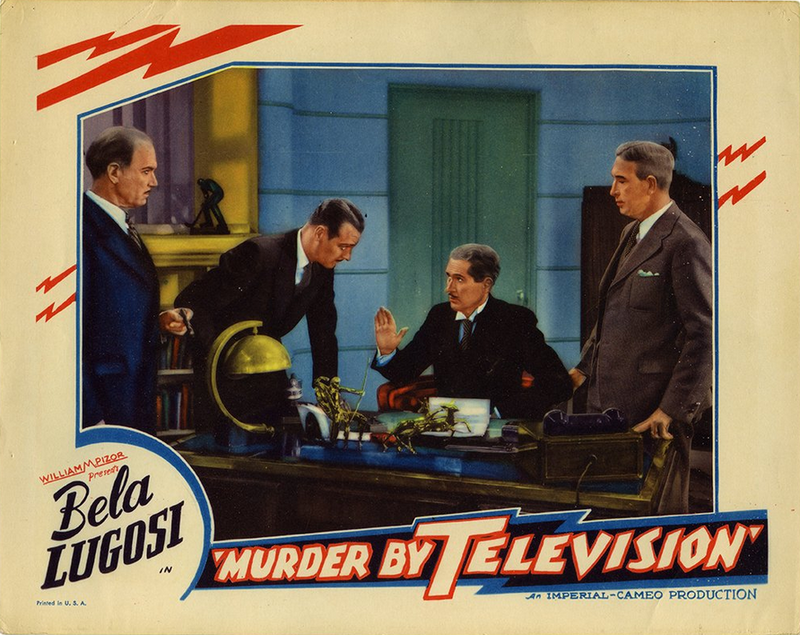 A single lobby card for the 1935 film Murder by Television sold for $200. 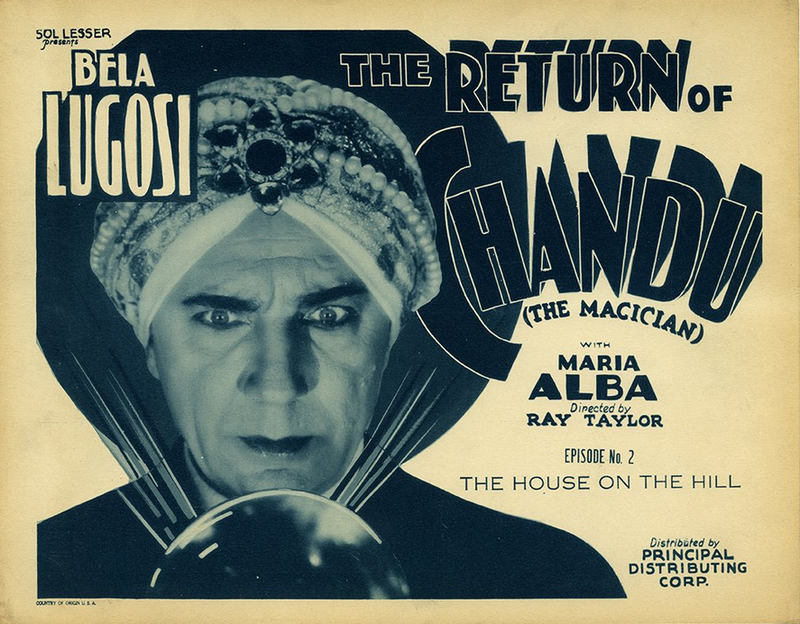 Three lots featuring various lobby cards for the 1934 serial The Return of Chandu sold for $150 (five cards from episode 2), $80 (2 cards from episode 3) and $200 (ten cards from various episodes).